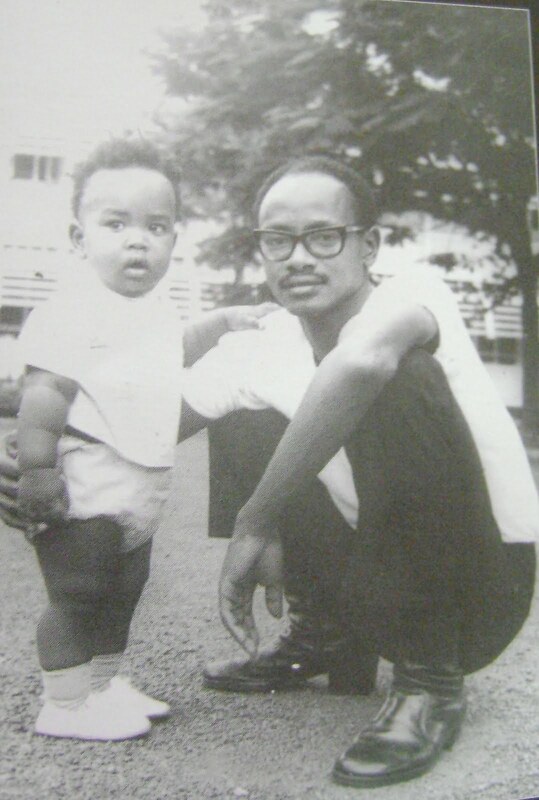 N’ogambaki iwe Kataha? Konka how have you been lately? It has been a while since I (we) heard from you. I am confident though that it is probably because of the work load that you have. Being the Minister for Karamoja Affairs and being the MP for Ruhaama County are no easy tasks. It goes without saying that adding the title of First Lady, Husband, Mother and Fashion Icon to your long list of duties makes it even tougher for you. Well done! I was in Ntungamo recently but didn’t quite see you – I think you had flown to Karamoja or Rwakitura or was it Israel? I can’t remember. But I missed you. By now, you must be wondering what the purpose of this letter to you is. For starters, worry not – everything is okay at my end. This is not an automated letter sent after my death. Most is well at my end; my employer pays on time, I am in good books with my landlord and God is blessing me with more oxygen than I can finish. Still no girlfriend but I’ve sent a few application letters out – I await response. Therefore I am fairly okay. I’m writing this letter just to check on you – you know, like a good old friend. Like I said earlier, you have been somewhat quiet lately and it got me wondering if all was well at your end. So I suggest that you relax, probably grab a soft drink and smile as you read along. This morning I read an interesting letter from you in the New Vision, something about you not looking for a job but only being interested in serving Ugandans. Before I can even go into the details of the nobility in your intentions, I must admit that I am very impressed by your command of the English Language. Are you sure you have no relatives from England? Eh. The Queen herself would probably smile if she read your piece. Your lungereza is impressive. In your piece in the New Vision, you were telling Ugandans that you are more interested in serving them as opposed to looking for a job. Wow! How do you do that? The vast majority of Ugandans are interested in looking for a job and putting food on the table but there you are, interested in just serving – teach me how you do that! Oh and the bit about you possibly turning down an offer from Amama Mbabazi for a ministerial position? That is some nobility right there. Personally I would probably fall for the bait and sell my friends and family while at it; but not you. Once again, well done. Tell me something madam Kainembabazi how is your fashion style these days? Munaye you used to be an inspiration to females in this country in terms of fashion. You were a stylish dresser, your hair was angelic, your colours matched, you smelled like heaven and your poise was simply unmatched. Not that much has changed but hey, do you think you can make a come-back of sorts? If you have to attack the beach with a Bikini every once in a while, so be it. And this business of wearing long skirts that nearly sweep the floor, what’s that all about? I am sure if you looked at your calendar you would realize that it is 2014 and not 1973. Forget about the mini skirt law – we forgot that one almost as soon as we started talking about it. Get in on the action ma’am. 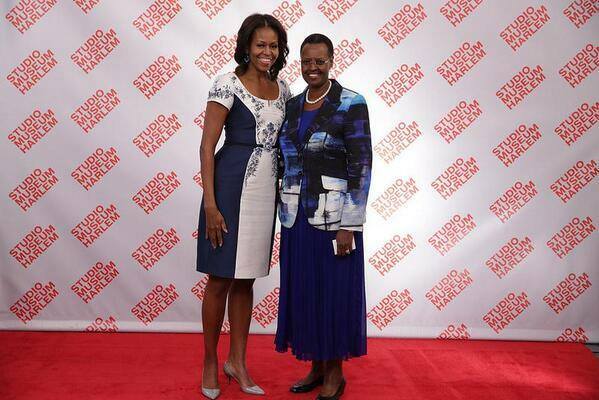 Have you seen how flashy Michelle Obama looks in those bu short skirts? Goodness! I know you are 15 years her senior but hey, you know what they say about age – it is just a number; one you can tweak with as and when they please depending on the needs and demands. How about less robes and more short skirts? So my friend Janet, how are the kids? Boy do they grow up so fast! Just yesterday Muhoozi was a little boy suckling his thumb and running around the compound soiling his pants but look now – the guy is a big man in the army. Look at your two boys back in Moshi. Seems like just yesterday! And then Patience, Diana and Natasha? Are they still as beautiful as they were several years ago when they were all over the papers with their weddings and babies and the like? 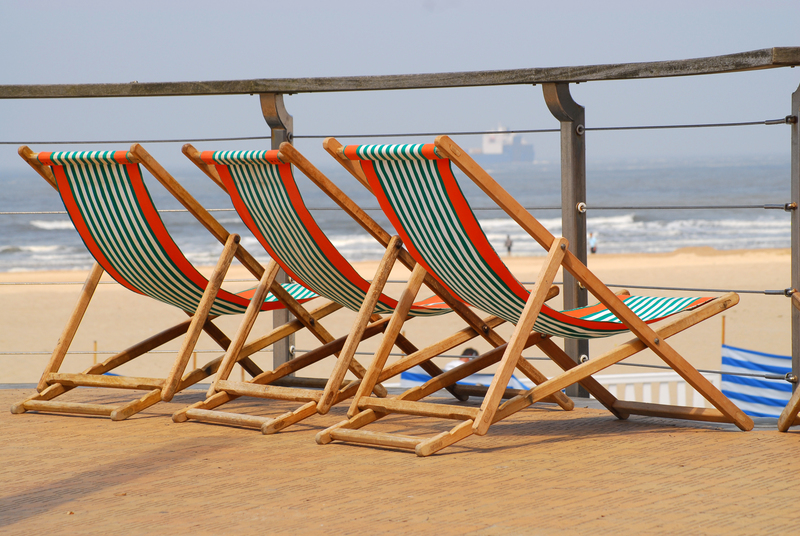 You and I both know you are the reason for their beauty – well done. 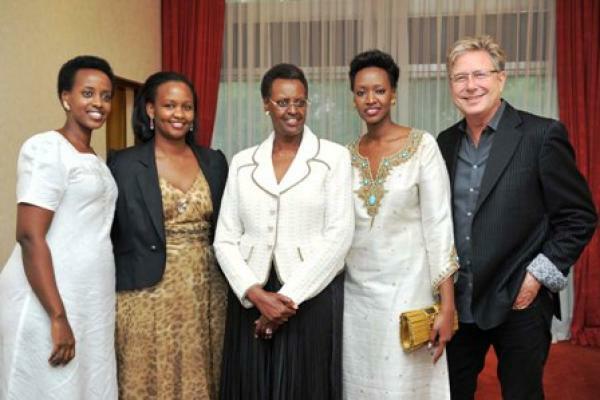 Is that Don Moen squeezing in for a pic with you and your girls? Are you watching the World Cup Janet? The 2014 edition is pretty interesting you know. We’ve been served up with some real mouthwatering clashes so far. What team are you supporting? Nze mpagira Argentina. Last night we even won our opening game – great start, right? Oh and the NBA Finals ended this morning – as I had anticipated, the San Antonio Spurs won the Title. Awesomeness just! Wait, am I bothering you about sports you have no interest in? Apologies. Let’s talk about the budget then. 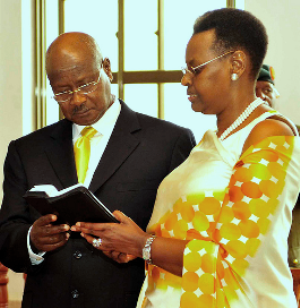 Did you hear the budget that your colleague Madam Kiwanuka read? Good Lawd! I always knew that she had a pair of golden ones down under but this time round she out-did herself. She is the definition of bravery and hard headedness. Even with the tough times squeezing us she never runs out of ways to squeeze us further. I am not sure how you plan to save money but back here at my household, we are timetabling the use of sugar and paraffin. We shall also be walking for long distances to save up on transport because I heard that fuel prices are going to go up. That said, I must say I was shocked that there was no mention of alcohol or cigarettes. Quick question – do you smoke? Probably not. How could you – with such a fine set of teeth. I don’t smoke either but many of my friends are chimneys. Forget them though, let’s talk about 2016. I heard that your sweetheart is planning to stand for re-election in 2016, how true is that? Please thank him for sponsoring the World Cup on UBC TV. The Kenyan president might have flown the Harambe Stars to Brazil to watch the World Cup but what use is that if we can have everything right here on our TVs? Kudos to your husband. What an awesome couple you two make! Speaking of your husband, I know you two don’t keep secrets from each other but did he tell you that he joined Twitter? Oh yeah! His account even got verified and is now getting in Followers like a problem – the guy really has a vision. Give him a high five when you have the chance. And while you are at it, borrow his phone, take a selfie, open a Twitter account, follow me and we can continue this conversation via DM. In the meantime, please enjoy these few dedications I picked out for you. Good luck with the girl friend. hilarious piece, great writing there, bit question. among the deds, why the loyal song?